So you’ve got a solid mailing list of devotees who believe in the good work you put out. 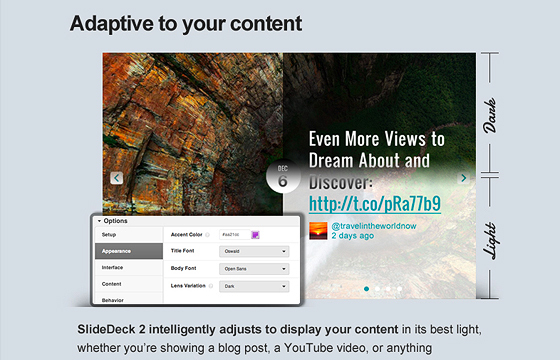 And you also have an upcoming product/app/site that’s better than the invention of sliced bread. Now wouldn’t it be fantastic if you could create enough buzz with your mailing list that you end up having thousands of people signing up on wait lists to get access to your upcoming release? 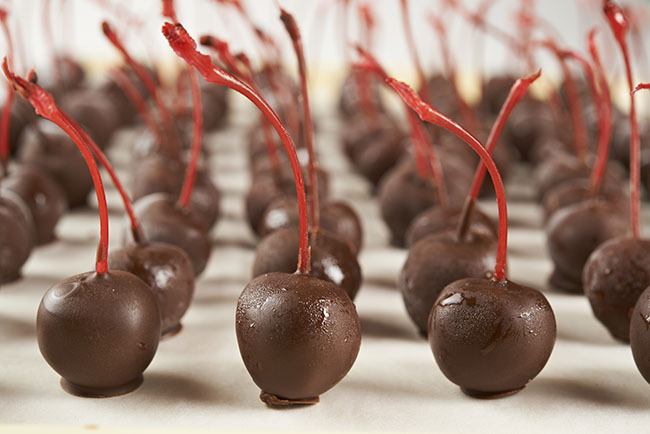 An email teaser campaign as irresistible as chocolate-covered cherries. Image source. Well, by creating an alluring and irresistible email campaign that teases and builds up anticipation for your project, you can create a great amount of support and succeed in your project goals. Here’s a simple 6-point guide, using a case study from SlideDeck 2.0’s recent release, that outlines what you need to do to create your own successful email teaser campaign. 1. Is an email teaser campaign right for you? Before you decide to launch an epic email teaser campaign, you should determine whether your campaign has a compelling story arc (described in detail in point 3) and enough content to justify sending out numerous emails to your subscribers. Email campaigns run the risk of annoying or upsetting subscribers (to the point of unsubscribing! ), and can sometimes turn out to be harmful to your upcoming project’s cause. Do you want to generate traffic for a website launch? Do you want to build signups for pre-orders? Is there a contest or event you want your subscribers to participate in? 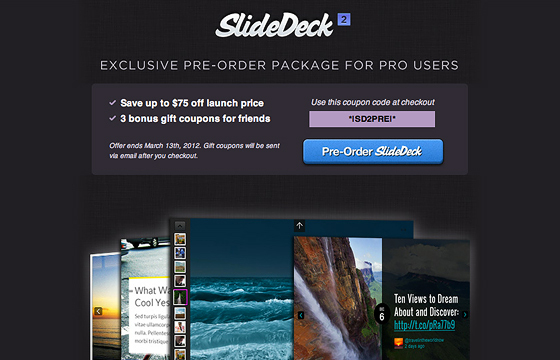 In the case of SlideDeck 2, while creating anticipation for and awareness of our upcoming big release was important to the overall product, our campaign’s main goal was to gain pre-orders prior to its March release. Note that your teaser campaign goal should focus on a specific action or conversion point. While broader ideas like “I want more traffic and awareness of my product” are important things to foster in your campaign, it’s important to determine a focus and direction that compel your audience to take action toward your goal. In order to keep your subscribers interested and readily opening your emails, you’ll need to create a compelling story that entices them to want to continue “reading on.” Think of the individual emails in your campaign as chapters in a book. In order to keep your audience engaged in your emails, you’ll need to incite a desire for them to 1) read on to the next chapter, 2) know where they are in the story at all times, and most importantly, 3) finish the book. 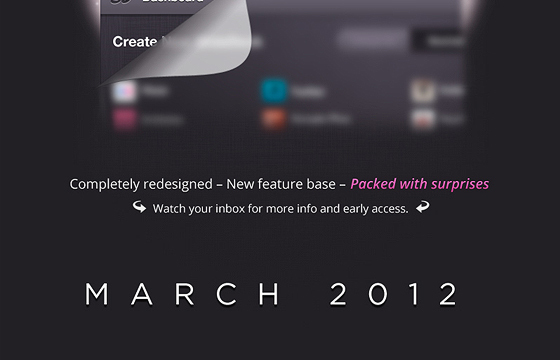 “The Tease” is the opening email to your email teaser campaign. It lets the audience know something big is coming. Consider what your campaign is teasing. Is it a product? Or maybe it’s the release of a new line of features? Whatever it is, make it as clear as day immediately within the email. After all, your campaign’s project, whether it’s a site, app, event or launch date, is the single opening gambit that gets your subscribers’ attention and gives them a heads up as to what is coming their way. 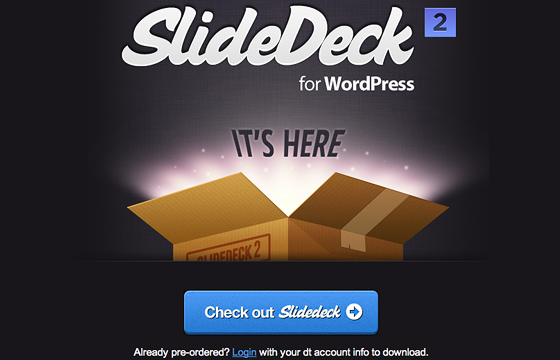 The SlideDeck 2 teaser email has the SlideDeck logo taking a prominent amount of space on the top of the header followed by an actual visual representation of the WordPress plugin’s admin panel. Follow up the introduction of your project with one or two supplementary elements that can help give a little more detail to the focal point while building up anticipation for its release (i.e., a date of a launch, a series of freebie giveaways, etc…). Remember, the more mysterious this teaser is, the more curiosity you can foster within your subscribers. If you know the date of your launch, consider teasing them with only the launch month to keep them wondering. Similar to the anticipation you get when seeing the premiere date of a movie, we wanted to build up anticipation and suspense on when more information would be released about this upcoming new product. Furthermore, take advantage of the fact that this email teaser is all about revealing crucial but limited information. Since you don’t have so much content to worry about, it doesn’t have to look like every other boring email template. Have fun with it and be as visual and graphic as possible. As a final note, it’s also sometimes useful, depending on the length and frequency of your email teaser campaign, to set expectations for the rate of contact your subscribers will be subjected to during the campaign. Some users wary of an email spam-series might be tempted to unsubscribe early, but if you set it up so that they know how many emails they’ll be receiving, they might not be as compelled to hit that unsubscribe button. Also, consider allowing subscribers to opt-out of just the campaign; this will prevent you from losing subscribers if they don’t wish to participate in the campaign. Now that you have your subscribers’ interests piqued, it’s time to give them enough information to consider whether or not they’re actually interested in whatever it is you’re teasing. This introduction email should provide information on the main highlights of your project. Although it’s ultimately up to your subscribers whether or not they should have an interest in your project, it’s up to you to give the most compelling pitch you can give. Via tone and feel: Now is the time to start integrating some of the tone and feel that sets the stage for your teaser’s unveiling. Start introducing visual elements that begin to familiarize subscribers with the brand and aesthetic of your project. Showing them crafted and well-intentioned design can go a long way in displaying the value of your product! Much of the branding for the new SlideDeck revolved around 1) our custom slider designs that we refer to as lenses, and 2) visual iconography laced throughout our WordPress admin panel. Therefore, we wanted to convey the visual importance of these two visual messages. Via content: Be upfront and give your subscribers the elevator pitch for your project; after all, if they aren’t interested, then they shouldn’t be subjected to however many emails are coming their way. Let them know what they’ll be getting and how they can benefit from it. By letting them determine early on whether or not they have an interest in your product, you can foster a continued relationship with subscribers who might otherwise be overwhelmed by your marketing. 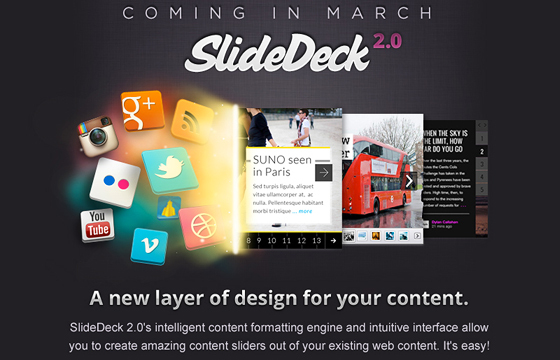 After the initial elevator pitch, we went into the three main features that make SlideDeck 2 stand out from its previous version, thus allowing users to determine whether this new release was right for them. At this point, most eyes on your campaign will have a pretty sizable interest in seeing it through to the end of your story. So you have two main goals going forward: 1) keeping interest and 2) building excitement. Normally, you can grow these two goals in the span of only a few emails. Keeping interest: You can keep your readers interested by giving them more information on what your teaser’s focal point is. But don’t show all your wares at once; instead, think about how to effectively spread the features of your project among several e-mails. 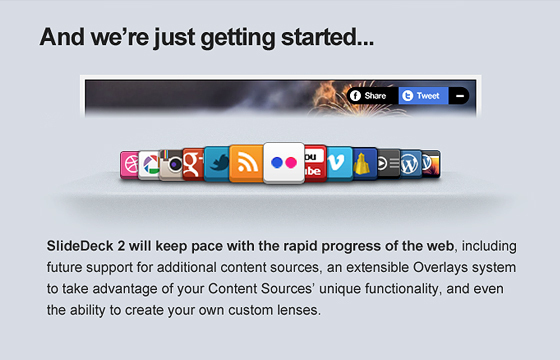 In the case of SlideDeck 2.0, we wanted to talk about two major things – 1) slider content being generated via dynamic sources, and 2) beautiful design throughout the product via the slider skins and the WordPress admin panel. 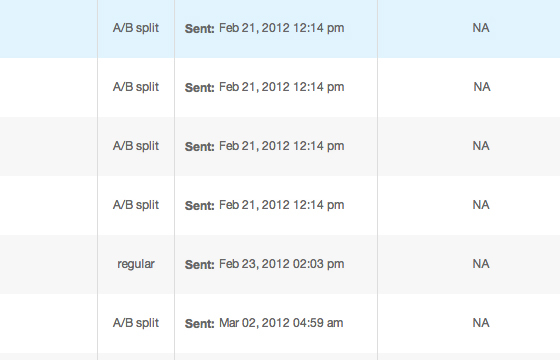 Therefore, in our “Buildup” we used two emails that each focused more on each of these aspects. Having users understand that they can adapt any content type through easy-to-customize appearance settings was crucial to understanding the value of this plugin. Building Excitement: A great way to build excitement within your readers is to let them know that they’re only seeing the tip of the iceberg in these emails. Make them anticipate seeing more of what’s to come. You can also hype them up by engaging them with teaser traits that suggest endless possibilities, growth, and potential for what these features can entail. Remember that it’s not just about what the product will be at face value when it’s seen, it’s also about what possibilities it can potentially offer. Although we had 13 sources planned for the release of the product, we knew we wanted to continue expanding our sources library over time. Also, if you have any exclusive or time-sensitive offers that can help foster a sense of urgency, utilize them in this part of the campaign. Even if you glanced over the copy of this email, you instantly understood through the prominent hourglass graphic that time was running out on some sort of offer. Just like the first part of this campaign’s story arc, “The Tease”, this final email should be short and sweet. Conclude your story by unveiling the product in a visually wow-ing manner. Similar to the glow-motif used in the initial Tease email, our Conclusion email went full circle in its story arc and let people know in a simple and clear manner that it was time to check out the new SlideDeck. This email is also where your project goal becomes a reality. 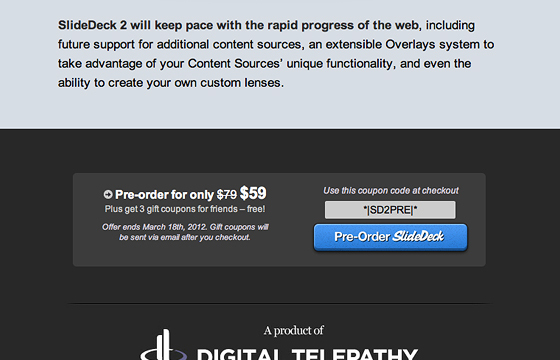 Immediately follow up the unveiled content announcement with a compelling yet simple call to action (i.e., a CTA button, a link to redeem their code, a URL to visit the launched site, etc…) and seal the deal. 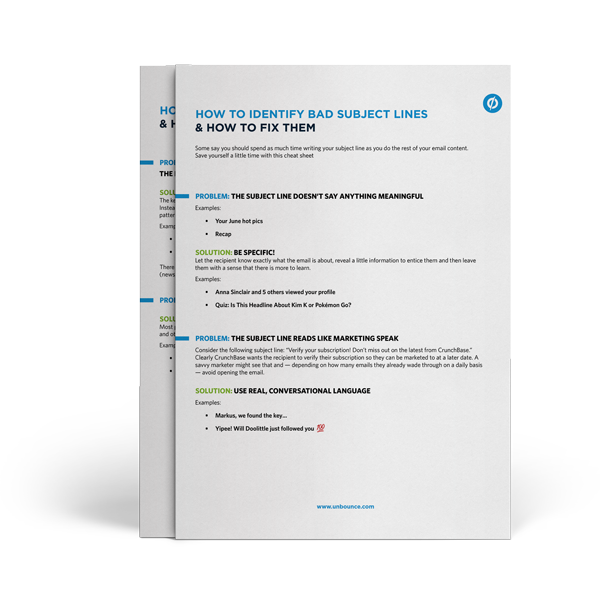 Now that you’ve created all of the content for your email campaign, it’s time to give some thought to your email subject lines. After all, your work will be in vain if your subscribers aren’t even compelled to open your emails! Make all of your opening lines consistent. If you’re teasing the release of a product, be sure to place that product name in all of your emails. Sometimes it’s even helpful numbering the email to help clue your subscribers in on the arrival of new emails from your campaign series. Pique curiosity. Quora does a fantastic job of piquing interest in reading on. In their email digests, they use Quora questions that make subscribers curious and compelled to learn more. Don’t give the game away. Remember, the primary goal of an email teaser campaign is to entice and compel. There’s no reason for someone to open an email if all of the information they need is right in the subject line. If you have an offer you’re giving away, make it known that they need to read more in the email to learn how to get this offer. Put your most important keywords up front. Place product names and key descriptors about your project early on in the email subject line. With today’s multi-screen environment, email titles can be subject to truncation depending on the screen resolution your subscribers are using. Marketed writing = spam. “Hey everyone! Win a free…” trip to the spam folder. Don’t let your emails sound marketed. If it reads like a spam email to you, then it’ll read like a spam email to them. Oh, and limit the **\*\ special characters /*/** please. Test, review, and learn. This point is so incredibly important that it deserves its own highlight. When you’re at the point of sending out your emails, consider A/B testing various subject lines for the first couple hours with smaller control groups. If you start to notice a trend of success in a certain subject line, be sure to adapt the rest of your email subject lines to mimic and emulate that subject line’s success. When actually designing your emails, be conscious of where your content lies, above and below the fold. Since you’re working within the realm of emails, you’ll naturally have a limited screen area to work with, especially since many people will be accessing their emails from a mobile device. Be sure to place all of your important and compelling messaging, visuals, and CTAs above the fold. Even if you have the most enticing email in the world, some subscribers will still bounce the minute they scan the beginnings of your email. Take this scenario and make the most of it by placing your most important and compelling information above the email fold. Best case scenario, it’ll work and they’ll scroll down to read more – and worst case, they’ll be exposed to the most important highlights of your email. Since our main goal of the teaser campaign was to collect pre-orders, we led our emails with immediate reminders of benefits as well as called out CTAs to help nudge users towards placing their orders. Always consider placing CTAs and other actionable takeaways at the end of your emails. It’s always a good idea to remind your readers that they can take actionable steps if they’re swayed by your content. If you’re at the later emails of your email series, you can reinforce the main conversion goal of your campaign by adding reminder CTA buttons or links at the end of your email. Rather than making your users think about what to do next after they’ve finished your email, provide them the answer through another reminder of your main conversion goal. Emails get delivered to their readers in all shapes, sizes, and styles, so be mindful of how your email content will be consumed. When executing and developing the actual emails themselves, be sure to keep your emails accessible for those who view their emails in HTML, HTML without images, and plain text. So there you have it, six points that’ll have your readers begging to get their hands on your amazing and incredibly-sought-after project. Now then, it’s time for you to start teasing your subscribers! Jessica Moon is both the blog editor and a UX/UI designer at digital-telepathy, a user experience design studio that specializes in creating products like SlideDeck, Hello Bar, and Impress. She has a passion for illustration and design, and enjoys blogging and tweeting about what she’s learned. You can also find her on Google+.